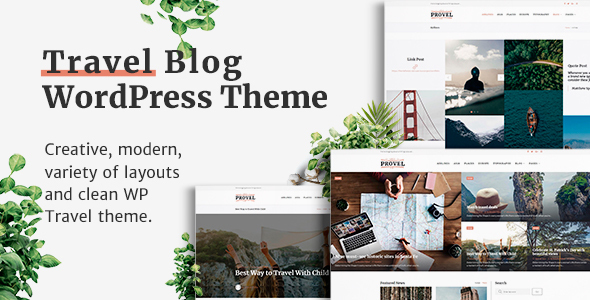 Provel is my WordPress Blog Theme with interesting and modern design. Provel will be a smart and successful choice for Travel agency or Travel Bloger. There is no doubt that Provel will make your work look more attractive and productive to viewers. Designed on grid system, your site will look sharp on all screens. Our package includes different layout of posts and post listing. The design is very creative and unique, and also very easy to customize and use.